Welcome to Itsula I-Share Downloads. As a member of Itsula, you may login, and start sharing images, music, videos, and more. Itsula members feel free to upload and share, your copyright-free material. If you are the copyright holder, and/or the licensed owner of the material you wish to share with others, then you may also feel free to do so. Anytime Itsula becomes aware that a video or any part of a video on our site infringes the copyrights of a third party, we will take it down from the site as required by law. If you believe that a video on the site infringes your copyright, please send us a copyright notice and we'll take it down. If you believe we've removed a video that you uploaded in error and that you are the copyright owner or have permission, you can file a counter notice and let us know. Accounts determined to be repeat infringers may be subject to termination. Users with suspended or terminated accounts are prohibited from creating new accounts or accessing Itsula's community features. 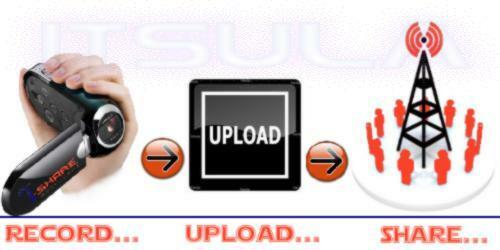 Please follow these guidelines, if you are using Itsula I-Share Downloads.